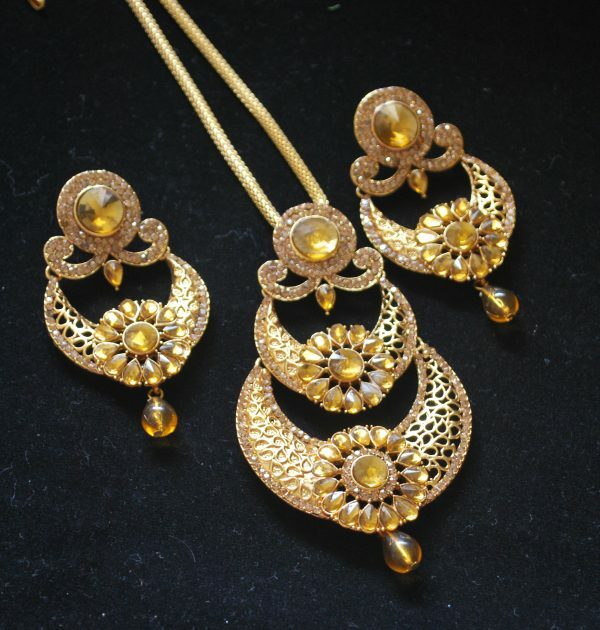 Gold Plated Artificial Pendant with Earring (Set) are an excellent choice for vintage-inspired jewelry and simple designs because they suggest a slightly vintage, candlelit glamour. 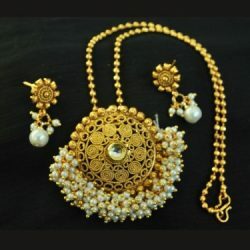 Beautiful Pendant Set (Necklace and Earring) with intricately crafted Pendant, Chain and Earrings with Golden Non-precious Stone. 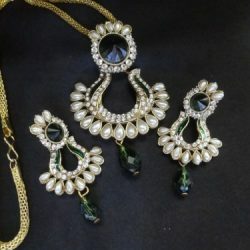 Look elegant for any occasions (Wedding, Festive or Traditional Events). 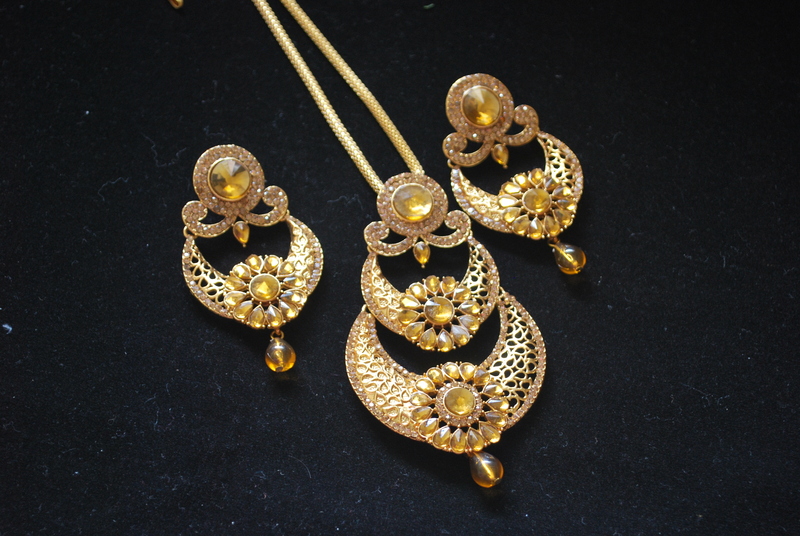 Pendant set structure make it fascinating. 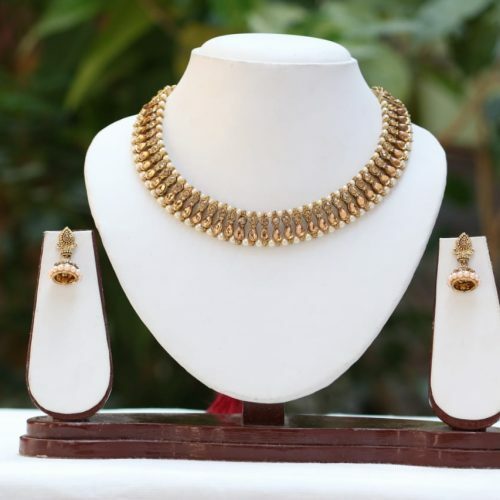 This jewelery is gold plated made on base metal (The pendant is more towards reddish gold, bright shiny metal that’s soft and have healing properties). From the house of Reeti Fasion to make your look happening (Traditional Saree, Anarkali, Lehenga, etc) and completely beautiful on occasion.